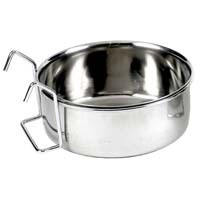 Stainless Steel Coop Cups are available with Wire Hangers or Bolt Clamps to fix them to your aviary, bird cage or chicken run. Coop cups simply hang or bolt onto the mesh or bars of your bird cage, aviary or chicken run to allow to supply your birds and chickens with food or clean water. 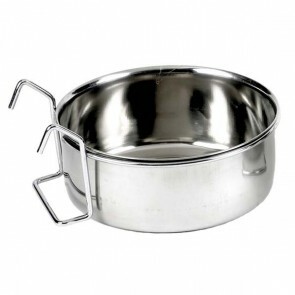 Stainless Steel Coop Cups are; Hygienic & Dishwasher Safe, Resistant to Absorbing Food Odour and lastly Extremely Durable and will Retain their Sheen for many years. Bird Coop Cups: 5 stars out of 5 based on 0 user reviews.